Search Engine Optimisation (SEO) is the practise of optimising a website to boost via organic traffic in search engines such as Google & Bing. Patagia can offer a complete service for SEO, including keyword research, on site and off site optimisation as well as ongoing traffic reporting via Google Analytics and a monthly keyword performance report. 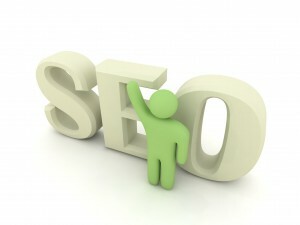 SEO is one of the most cost effective methods you can use to gain extra visitors to your website. Many people consider using Google pay per click services as a quick fix for extra traffic, however this technique can be up to 20 times more expensive than a well delivered SEO campaign. As time goes on, a well optimised website can lead to great results. Using the latest SEO techniques and tools, Patagia can successfully deliver a campaign that will not only boost search engine rankings, but will also lead to additional traffic and ultimately additional business. We understand that every customer is different so each of our SEO campaigns are tailored specifically to meet your needs. Want to know more about the Search Engine Optimisation services that we offer? Contact us today to discuss your options further. Do you have a webmaster tools account? Have you used an SEO company previously? Do you have login details for your hosting account? Which geographic locations are you wanting to target? Do you have any in house content writing resources? Do you have any social media accounts set up? If so, which ones? Do you have resources in house to manage any social media accounts you may have? Do you have a list of keywords that you would like to be found for? Who would you say are your competitors?